If you are trying to organise a special event, celebration or party the Hog Roast Cheadle team is here to take care of you. We take all of the stress out of making sure that there is plenty of good food for everyone to enjoy. For any kind of party, a hog roast is a good choice. 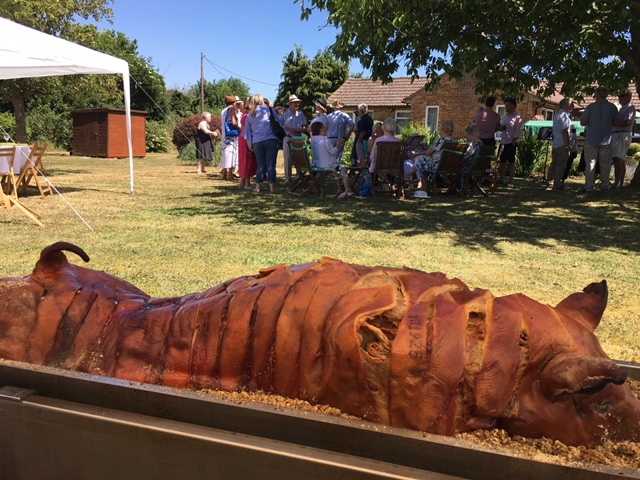 A whole hog looks fantastic, it smells wonderful and you can cater for a lot of people when you serve this style of food. The modern spit-roasting machines that we use at Hog Roast Cheadle can be used inside as well as outside. This means that we can cater for virtually any kind of event. The fact that our chefs have access to the best equipment means that they can cook fantastic food. As well as hog roasts we offer barbecues and other spit-roasts. All you need to do is to browse our menus and choose the foods that you like the best. We offer a range of beautiful canapés, salads, side dishes, coleslaws, stuffing, sauces and other foods. It is really easy for you to find dishes on our menus that you know your guests will enjoy. Our chefs will happily cook vegetarian food. We know exactly what is in each dish making it easy for those with food intolerances to identify which items they can eat. Most of our clients opt for a buffet service, but we can also provide you with waiters so that your guests can be served at the table. Everyone in our team is fully trained and very experienced, so you can definitely trust us to look after every one of your guests. 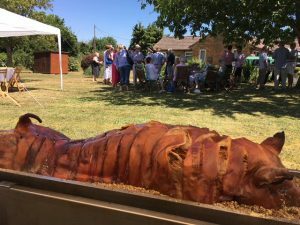 At Hog Roast Cheadle we take a flexible approach to party and event catering, which is why we also hire out hog roasting machines to the public. We will show you how to use it and get the best results. You can hire us right now. Once we have received your details via our quote form a member of our friendly and helpful team will get in touch, to give you an accurate quote.